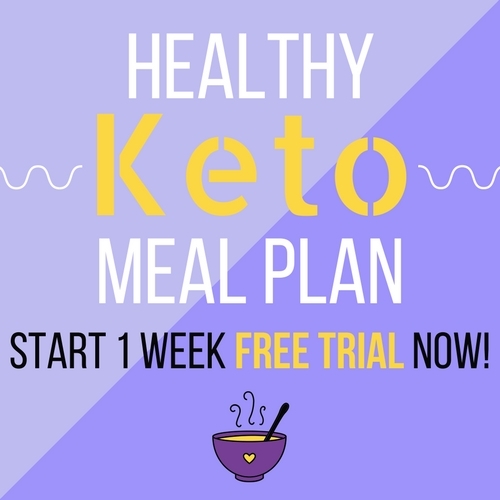 Modify The Keto Diet Your Way • Healthy.Happy.Smart. 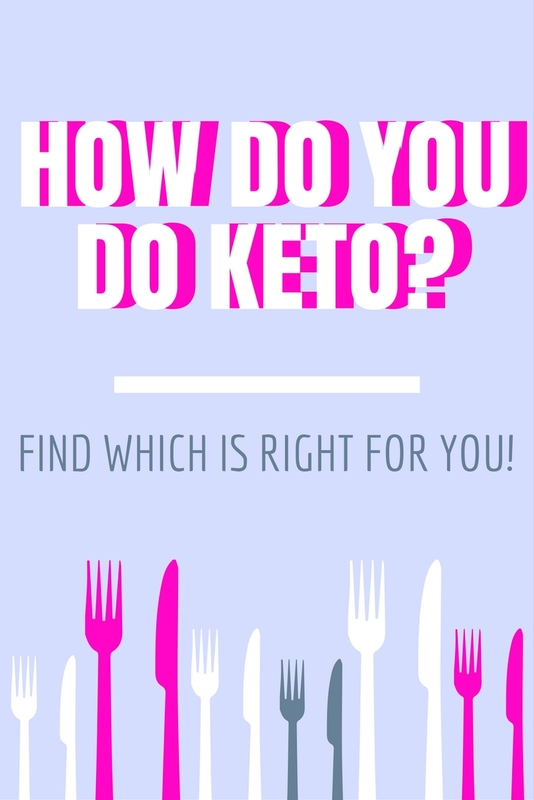 Are you on a Keto Diet or planning on starting one? 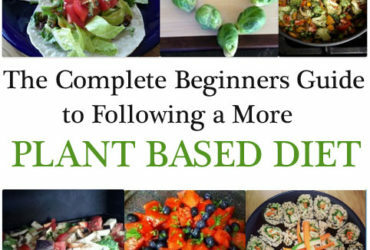 Just so you know, the ketogenic way of eating has many regimens, modifiers and additions that make it unique to each person following this diet plan. Below is an attempt at labelling the different paths on keto. I hope this helps you understand the differences and if you have questions, just ask. almost all of them eat a High Fat, Low Carb, Medium Protein macronutrient diet. With few exceptions. 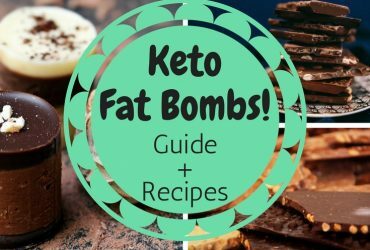 The % of fat for Keto is approx 65 – 80% of all calories. Carbs are stated below in each regimen. The protein is a standard amount that can be found in a normal SAD diet, around 20 – 30%. You could also use any website that specializes in calculating enough protein to keep you from losing muscle mass. To be clear – Keto is NOT a high protein diet. If you are just “low carb” – you would consume between 50 & 150 grams of carbs a day. Technically it’s not a “keto diet” because you can’t reach ketosis with this amount of daily carbs. 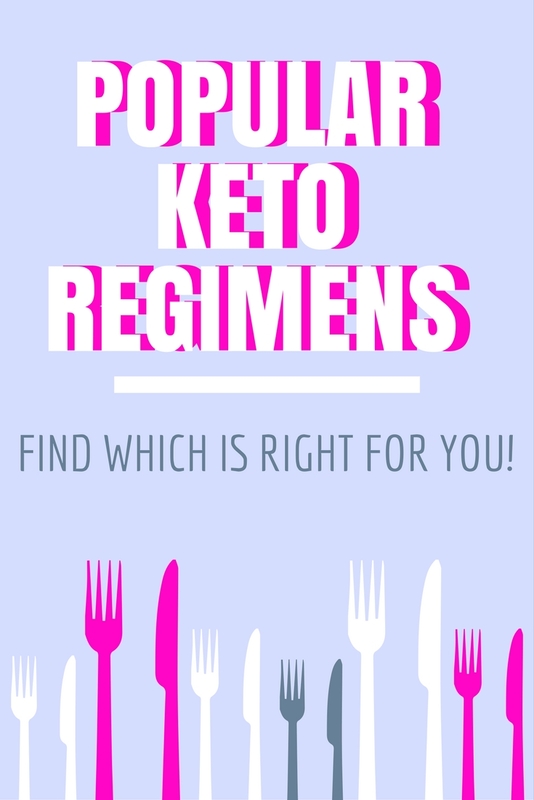 Also, food types are broad, with few exceptions that you would NOT see in a regular Keto Diet. For example: small amounts of fruit or bread is allowed. On a Keto diet, you can consume between 0 to 50 grams of carbs a day. Food types are broad, with few exceptions, as long as they meet their daily macro goals. The typical macro count is: 0 – 10% carbs, 20-30% protein, 60-80% fat. The goal of the group is to be “Ketogenic Adapted”. As a rule, most people have to stay under 50 grams of carbs a day to reach this goal. They use devices such as a Ketonix or urine sampling ketone strips to confirm they are in Ketosis and stay in Ketosis on a regular basis. This group eats between 0 to 10 grams of carbs a day. People choose to go this low because carbs cause bad effects on their bodies. Primarily the diet consists of animal meat consumption, with a small amount of low carb plant-based foods. For quick weight loss, this group has a deficit of calories. Or for maintenance or slower weight loss, they can eat above their TDEE (total daily energy expenditure). This group consumes between 0 to 5 grams of carbs a day. This group skips plant-based foods however, they might use a tiny amount of herb seasonings for flavor. This is the exact opposite of a Vegan diet. High-calorie meals are ok, like VLC, they either lose slowly or maintain their weight effortlessly. 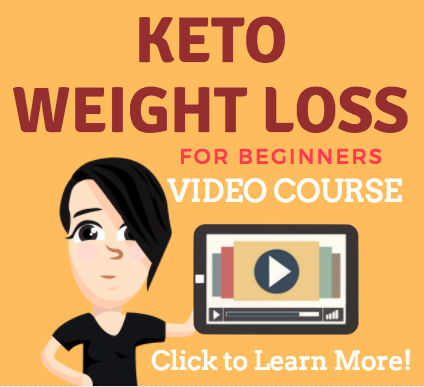 When following such a low carb regimen as this one, you can skip taking tests with urine strips or using any external devices to tell you that you are in Ketosis. It’s almost guaranteed that you are while eating this few amount of carbs daily. This Keto diet is specifically for advanced bodybuilders. They use it for maximum muscle growth. When doing an intense workout, it cycles the carb intakes from low to high. “Targeted Ketogenic Diet (TKD)” is another workout/bodybuilding regimen. You basically eat carbs before your high-intensity workouts. Both diets are normal Keto diets when not doing workouts. Many choose to add one of the below modifiers as an extra title to their regimen. E.G. : Vegan Keto, Paleo Keto, Primal Carnivore Keto, Low Carb Vegetarian, Paleo VLC. NOTE: Obviously you can’t be a “Vegan Carnivore Keto”, so there are exceptions to this section. This group eats no food derived from animals or dairy. They may have some difficulty getting enough protein if they want to also be on a keto diet. Good fats include coconut oils and some nut oils. Similar to vegan, only they consume dairy sometimes. 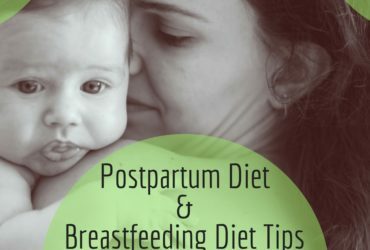 They also may have some difficulty getting enough protein if they want to also be on a keto diet. Good fats include coconut oils and some nut oils. Avoid eating highly processed foods and dairy. One thing about Paleo is that it recommends skipping foods that were not available for consumption before the agricultural revolution. Prefers organic and unrefined foods. Paleo is opposed to saturated fats. You should restrict certain types calorie-free sweeteners like Splenda. Similar to Paleo, but more liberal about what they can eat. They can eat dairy and saturated fats.